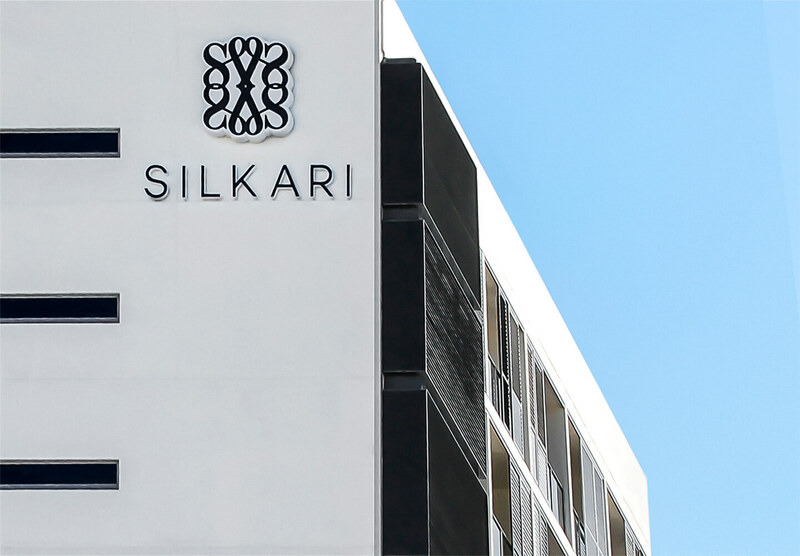 Silkari Suites at Chatswood is a 212-suite residential and hotel brand from Visionary Investment Group. 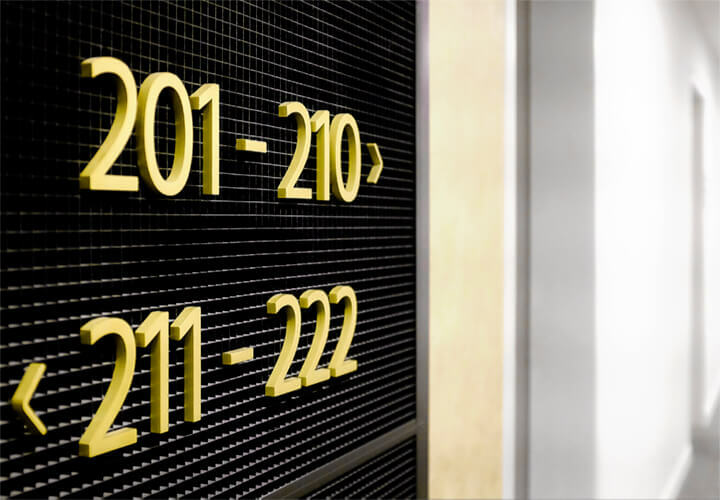 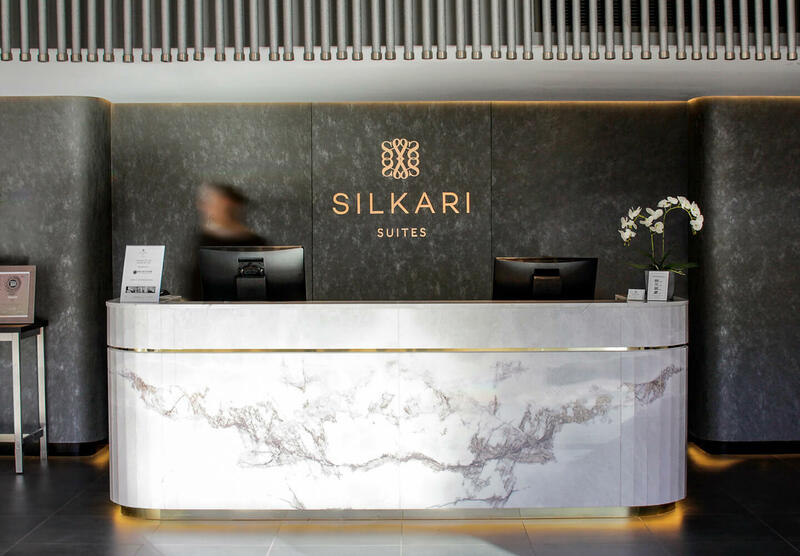 The ‘silk’ in Silkari represents a fusion of East and West, so our wayfinding designs needed to weave together different cultures and spaces to create a uniquely luxurious hotel experience. 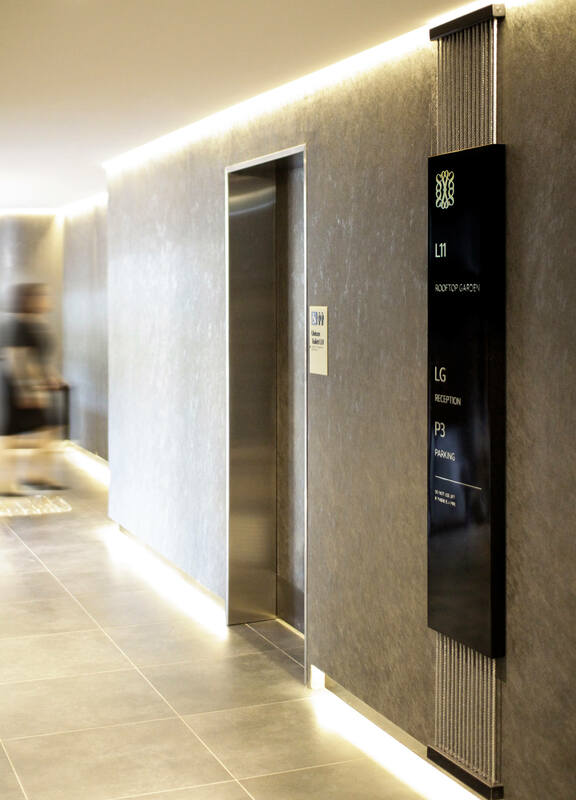 Our wayfinding system also revives a dilapidated laneway, Mills Lane, to create lively connections with neighbouring retail and cultural precincts. 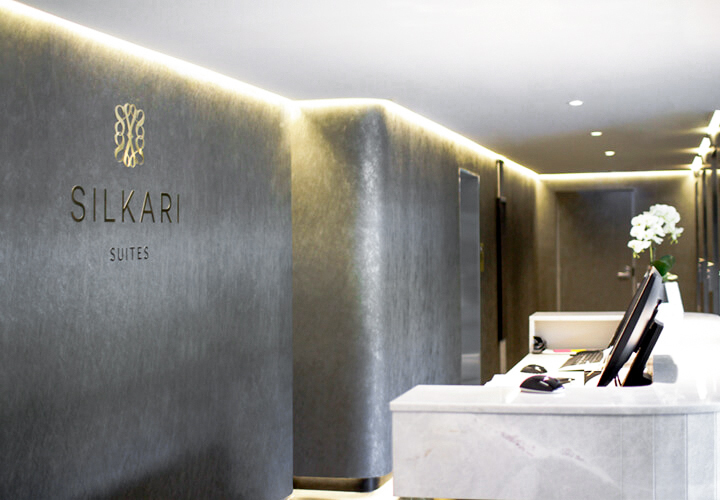 Inspired by the beauty, strength and versatility of silk, our wayfinding designs and placemaking activations use delicate silken threads to weave together the hotel’s varied spaces and cultural influences. 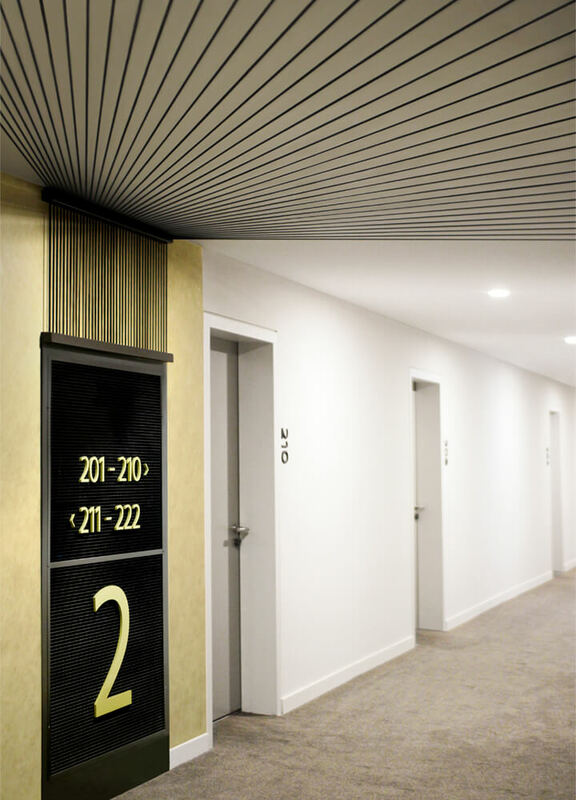 Silken ribbons and cords stretch across walls and ceilings resembling the spools of a silk loom. 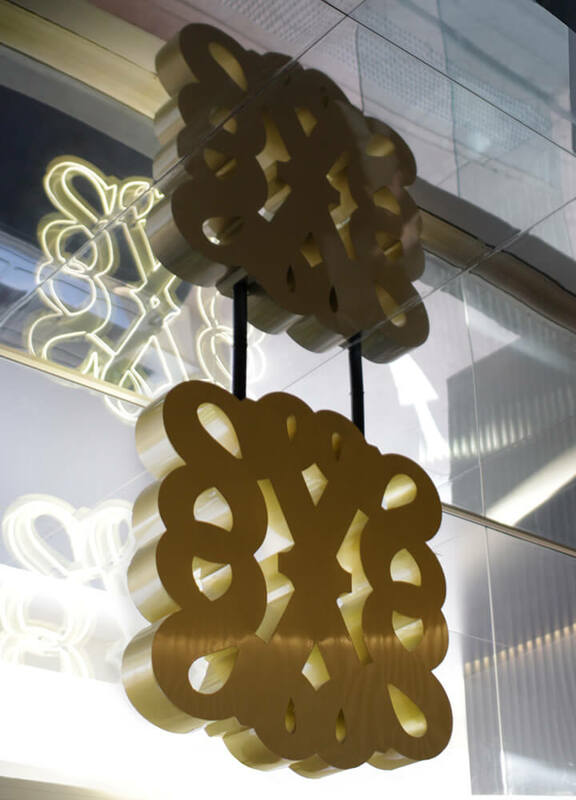 These opulent, golden placemaking elements create a meeting place for shared cultural experiences and connections – a modern-day Silk Road. 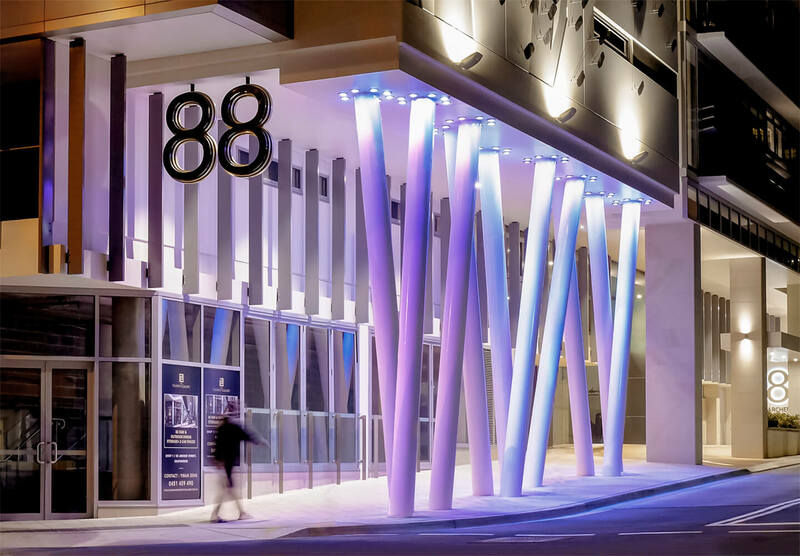 Sky signage and glowing illuminations accent the building’s exterior and the giant ‘chopsticks’ adorning the façade.